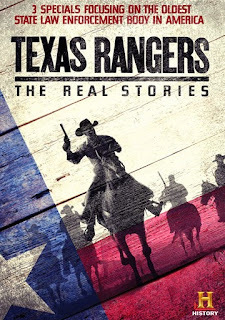 Saddle up for a wild ride through the West when Texas Rangers: The Real Stories arrives on DVD May 12 from Lionsgate Home Entertainment. Timed to the HISTORY® broadcast premiere on Memorial Day of “Texas Rising,” an eight-hour miniseries event from the producers of the “Hatfields & McCoys,” starring Bill Paxton, Olivier Martinez, Ray Liotta and Brendan Fraser, this collection features three complete HISTORY® specials chronicling the adventures of the legendary Texas Rangers. Featuring over two hours of action-packed programming, Texas Rangers: The Real Stories will be available on DVD. The Texas Rangers wore their badge with pride—a symbol of a crime-fighting force like no other. Follow the sagas of Governor Sam Houston and Stephen Austin, state founders and leaders in the fight for Texas independence. See how the Texas Rangers banded together and fought across the Lone Star State’s unforgiving, wide-open terrain.